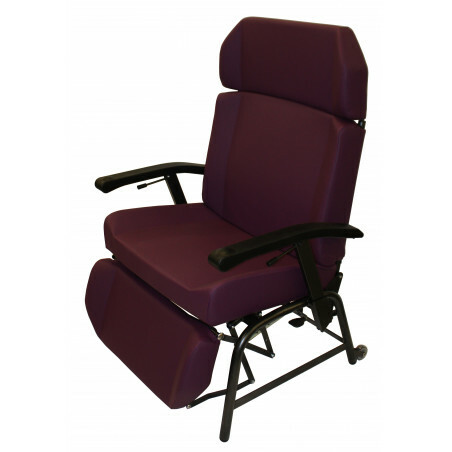 Range of easy chairs for patients over 135 kg. Relaxing armchair on castors, reclining backrest . Maximum patient weight : 330 kg . Relaxing armchair with fixed backrest. Maximum patient weight : 400 kg.